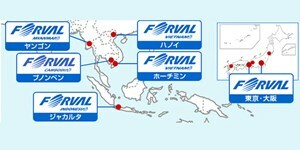 Forval Myanmar Co., Ltd is a subsidiary of Forval Corporation in Japan. The company provides high quality consulting services to numerous local and international clients. Forval Myanmar aims to contribute to Myanmar’s development and success through the various services that they provide. ‘Sharing’ is one of the company’s principles. They believe that every single one of their employees should be dedicated to sharing their skills, informations, and knowledge to the clients and to the society as a whole. 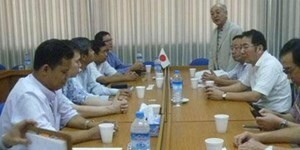 At first, Forval Myanmar offered recruitment services and consultation for Japanese investors. However, through time, the company expanded as they started to offer more services like ‘training business’, ‘business consultation’, and ‘IT business’. The company started offering business consultation and IT business services back in 2015 only. Although the business was officially founded in February 2013, Forval Myanmar’s initial activities actually began as early as March 2012. Forval Myanmar is one of the best companies when it comes to consulting services. Although the company might look relatively new, the individuals managing the company are certainly experienced. We can help you further your career and improve your skills and work ethic. We will help you grow professionally as you help us reach our goals.